Gadsden Arts employee Alexis Assam has been selected as the 25th Romare Bearden Fellow at the prestigious Saint Louis Art Museum. 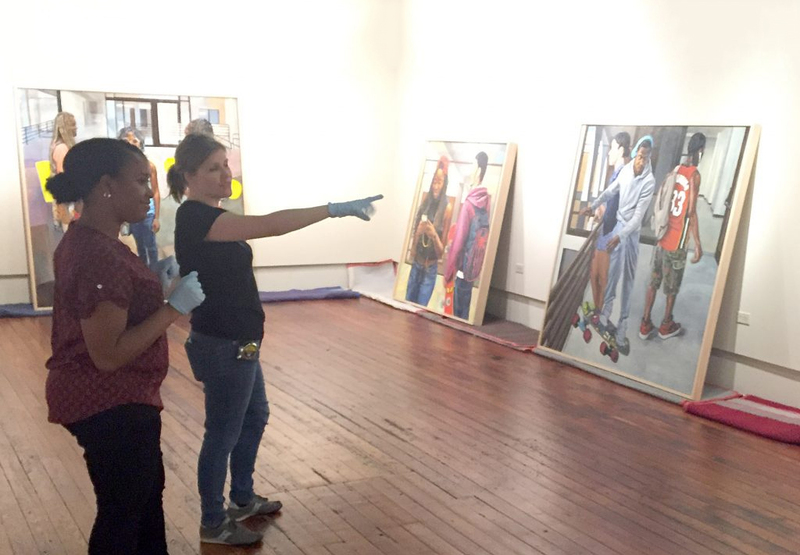 The highly competitive Romare Bearden Graduate Minority Museum Fellowship is a one-year, paid fellowship designed to prepare graduate students from underrepresented minorities for careers as art historians and museum professionals. The Fellowship will allow Ms. Assam to work throughout the St. Louis Art Museum in various departments and work on projects tailored to her curatorial interests. This fellowship also includes a two-week component in New York where Ms. Assam will be working at the Romare Bearden Foundation. 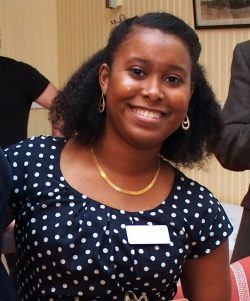 Reflecting on what set her apart in applying for this very competitive professional opportunity, Ms. Assam said, “My experience at the Gadsden Arts Center and Museum set me apart from the other candidates for this Fellowship, due to the breadth of professional experiences I gained working here. I write the monthly E-News for the Museum, which allowed me to directly connect with the Marketing Director at SLAM during my group interview. My experience writing grants at GACM stood out to the hiring committee as an important and applicable skill. My engagement with children and families through the ArtZone also demonstrated an important component – one of my weekly fellowship projects will be leading the Arts in the Basic Curriculum Program (ABC) which engages 4-5th grade students in engaging tours of the museum. The same also applies to my experience with curatorial work at Gadsden Arts. I have written many condition reports, exhibition labels, and have helped install work. Hiring committee members were looking for a candidate who would excel juggling many different responsibilities and work well across departments.  The Gadsden Arts Center & Museum is located on the courthouse square in Quincy, Florida, just 20 minutes from Tallahassee. Galleries and museum shop are open Tuesday through Saturday 10am-5pm. Suggested exhibition admission is $5, free for children and museum members. 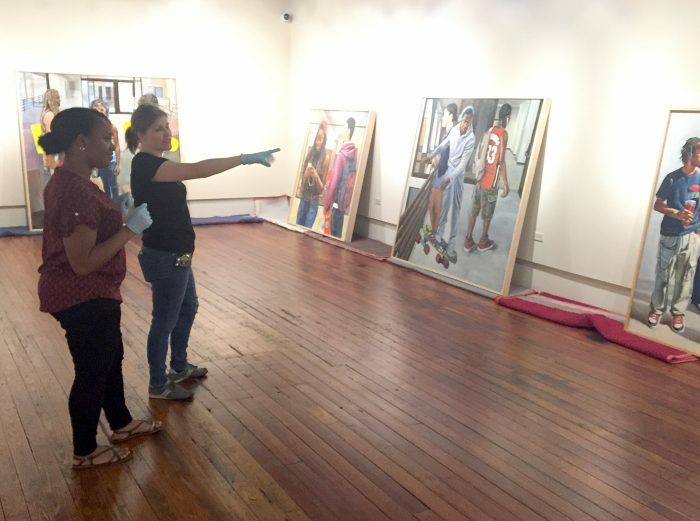 For more information on internships, professional positions, and programs at Gadsden Arts, please call (850) 875-4866 or visit www.gadsdenarts.org.